Feeling complete and supported while being able to share your offering with the world is what WU is all about! Welcome to The Wellness Universe G.O.A.L Meeting. Your official welcome, orientation, introduction and connection! 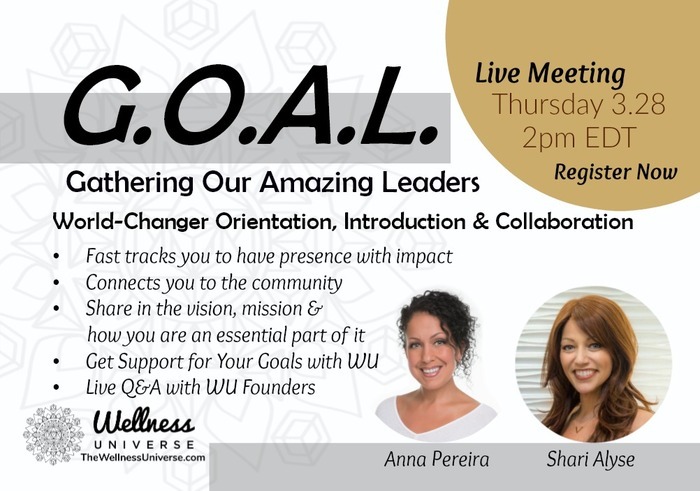 This is your opportunity to dive in and be directly connected to the WU community and the Founders face-to-face!